PIPPA Middleton will marry her fiance and hedge fund millionaire James Matthews in what many have already dubbed the society wedding of the year. The couple have spared no expense and, with a guest list of more than 300 people, there's no doubt the event will be one for the history books. Matthews, 41, proposed to Middleton, 33, last July and the couple didn't waste any time preparing for their wedding at a village located in Berkshire. And, less than a year later the society couple are due to wed in what The Sun claims will be a "tartan-tinged affair" to celebrate Matthews' Scottish heritage. With less than 24 hours until "the wedding of the year", here's everything you need to know about the big day. Numerous royals and celebrities will attend the wedding with most of them having already flown in. Despite Middleton reportedly instigating a "no ring, no bring" rule, Suits actress Meghan Markle seems to be an exception to the rule. 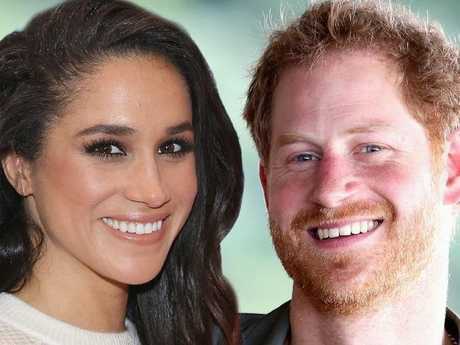 The actress, who has been dating Prince Harry since last year, was spotted at London's Heathrow Airport last night before she was whisked away to Kensington Palace. 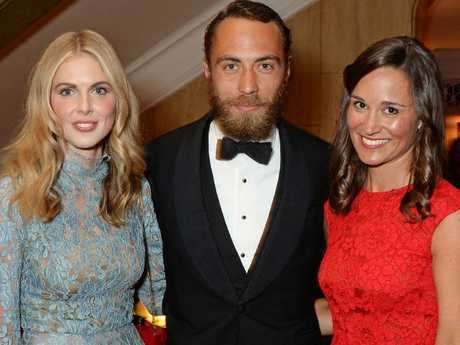 Middleton's brother James was also given an exception, and will attend with his on-again, off-again girlfriend Donna Air. And, the rest of the royal family will be in attendance including Middleton's sister Catherine, the Duchess of Cambridge, who will attend with her husband Prince William and their two children Prince George and Princess Charlotte. While Air and Markle were given a pass for the "no ring" rule, Matthews' younger brother Spencer reportedly wasn't and has been banned from bringing his reality star girlfriend Vogue Williams. A spokesman for Williams denied the claims she was banned from the wedding, saying last night, "Vogue has a prior engagement but wishes Pippa and James all the best on their special day". Around 100 guests will watch Middleton marry her millionaire fiance in the beautiful 12th century St Mark's Church in Englefield, a village located in Berkshire, a county in the south of England. The church is conveniently very close to the Middleton estate in Bucklebury, where the reception will take place. Numerous reports claim Middleton will arrive by horse and carriage, adding to the reputation of her fairytale wedding. Just as Pippa was Maid of Honour at her sister Kate's 2011 royal wedding, the Duchess of Cambridge will return the favour. Kensington Palace also confirmed the royal children Prince George, three, and Princess Charlotte, two, are set to be the page boy and a bridesmaid. Matthews' brother Spencer, who is famous in his own right for being on the UK reality show Made in Chelsea, is reportedly going to be best man. After the ceremony, guests will be treated to some overhead entertainment in the form of World War II spitfire planes performing a flyover. Guests will then be driven the 15 minutes in Range Rovers to the Middleton estate however new photos reveal they may instead be travelling in Bentleys after a truck was seen offloading numerous cars at the estate. Middleton shot to fame for her iconic ivory coloured dress she wore to Catherine's royal wedding as Maid of Honour. Details about her wedding dress have been kept top secret however numerous reports claim she is wearing a design from Giles Deacon. The British designer was recently spotted leaving the Middleton home with numerous garment bags. And, despite the dresses being kept under wraps, new photos reveal staff carrying numerous garment bags which are said to contain the wedding party's outfits. The guests won't have to worry about the unpredictable British weather after it was revealed they will party inside a glass marquee worth upwards of $A175,000, which was imported from Belgium. While the cost of the marquee is staggering, the couple has managed to save a bit of money by having it at Middleton's parents Berkshire estate. The sprawling property is valued at $A8.7 million. Despite that, Pippa's parents Michael and Carole are expected to foot the wedding bill, which, is expected to exceed $500,000. And, just as guests won't have to worry about roughing it outside, they also won't have to worry about trekking it to outdoor portaloos. Middleton is reportedly set to have posh "throne room" portable toilets at her wedding which will feature oak fittings, porcelain basins and full-length mirrors. The cost to hire them is reportedly more than $A10,000. Middleton, who released her own party planning book Celebrate in 2012, is believed to have chosen the menu herself. The menu will feature a lamb recipe from the book. Reports from The Sunalso claim a wealthy Russian friend has donated eight kilos of beluga caviar, estimated to be worth £40,000 ($A70,000). The Sun also reports Middleton even "picked the waitstaff from photos". Before entering, guests will reportedly be required to sign confidentiality agreements and hand over their phones before reaching the marquee. 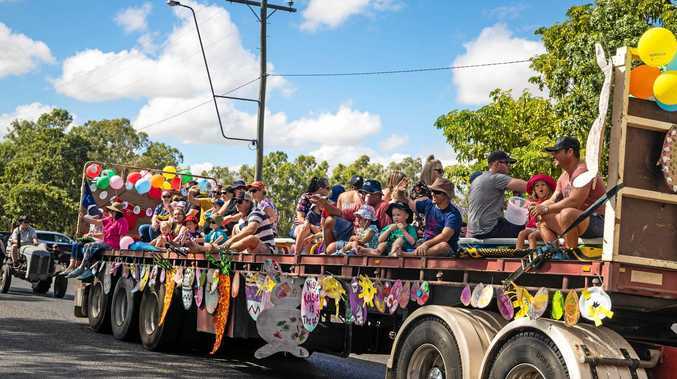 The furniture and equipment are being supplied by a company called Jones Hire after workers were seen offloading chairs from one of the event company's trucks. According to their website, they are "London's premier catering rental company". After their huge wedding, Pippa Middleton is set to acquire numerous assets including joint use of her husband's private jet, valued at $A5.2 million as well as his London mansion which is valued at close to $A30 million. As well as his incredible assets, Pippa will also one day acquire a title that will rival her younger sister Catherine's title as the Duchess of Cambridge. When Matthews' father purchased the sprawling 10,000 acre Glen Affric estate in 2008, he inherited with it the title of Laird of Glen Affric. The Scottish estate, which includes a historic castle, is less than 30 kilometres from the world famous Loch Ness. Middleton's fiance will inherit the title when his father dies which in turn, will give Pippa the courtesy title of Lady Glen Affric. No word yet on if or where the couple will honeymoon however, considering Matthews parents own the luxurious five-star Eden Rock Hotel on the Caribbean island of St Barts, the island resort is a strong (and free) contender.